The Whippet is a lively breed; they are very loyal to their masters. This breed of dogs requires early socialization and obedience training to behave well, this breed can do well with other animals if they are provided early age socialization, they are very speedy and can run quite fast. This dog’s breed is very loving and carrying; they love to participate in working sports and are true champions. The Whippet is a wonderful companion for children, if the child knows how to handle a dog. This breed love to be independent and learns quickly. They do well with children and older people. The Whippet dog breed is a very sensitive breed, they form a strong bond with their master and family and can become destructive if they are left alone for long periods of time. This breed of dogs has a single coat which is soft, textured and smooth. Their coat can protect them from cold climates. The Whippet does well in homes if they have a gentle handler, training should be done by fairness and patience they will not respond to hard and harsh methods of training. This breed of dogs requires early age training, they need regular exercise to remain fit, they love to go for a walk and enjoy family play session. They do well in apartments if they are provided sufficient exercise. The Whippets are very easily groomed, they require occasionally brushing and bathing should be done when needed. This breed of dogs has some problem with cold weather so it is important to protect them from cold whether. 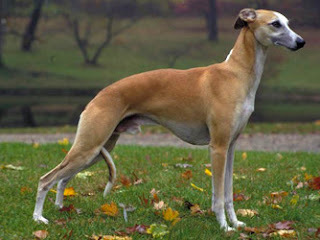 The Whippet dog breed lives for between 12 to 15 years. As a dog owner it is your responsibility to keep you pet healthy and free of diseases that might affect the dog,if you see any signs or symptoms of disease be sure to consult with a vet at the earliest.